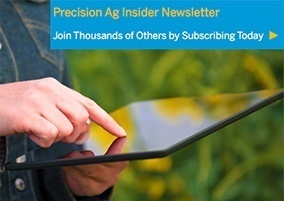 The AgAdvance Journal publishes news, expert columns and in-depth features on precision ag, agricultural technology and farm management strategies that maximize productivity, profitability and sustainability. FIRST, WHAT IS YIELD DATA? Yield monitoring equipment was introduced in the early 1990s and is increasingly considered a conventional practice in modern agriculture. The pioneers of precision agriculture already have several years of yield history and have examined different ways of interpreting and processing these data. FARMING WITHOUT GOOD YIELD DATA IS LIKE GOING TO SCHOOL WITHOUT GETTING A REPORT CARD. IS YIELD DATA USELESS IF YOUR EQUIPMENT ISN’T PROPERLY CALIBRATED? This is a common myth, but surely there’s always a bit of truth underlying every popular myth. Calibration Made Simple in 3 Easy Steps! Any effort you spend prior to harvest making sure your system is working well will be worth it. First, make sure sensors, cables and GPS receivers are all up and running. In addition, make sure you’ve done any recent updates required for your yield monitoring system.